Do you love daisies? We do. We love them a lot, in fact, and we thought you might too. In fact, we kind of assumed that everyone loves the daisy and the uplifting energy that the flower provides. When we look at daisies, we can’t help but notice that a huge smile comes across our face. Daisies, in all their forms, bring such happiness and lightness to a day for us. Which are our favorite daisies? It’s hard to narrow a list down to just one. But, we love Gerbera varieties and we go crazy for small common daisies. Both look beautiful in a vase, and they make stunning additions to a garden or a bouquet. For those of you who adore the daisy as much as we do, here’s a little daisy love. We’ve put together a little list of the most popular types of daisies, in case you need inspiration for flowers to add to your home or give to someone special. The English daisy looks like a weed to some, maybe because it resembles dandelions (which people also think are weeds, but they’re not). This daisy grows vigorously and can self sow, which means it can take over a garden if you want it to (and even if you don’t). English daisies do well in USDA growing zones 4 through 8, and they thrive in cool summer weather. Ahh, one of our favorite daisies and one of our favorite flowers. 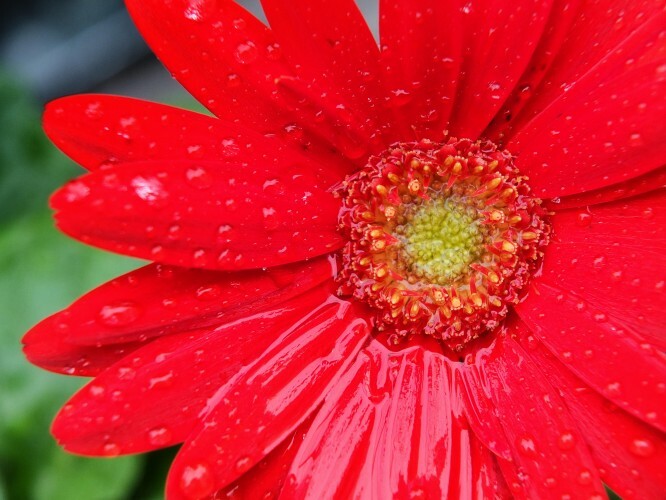 The Gerbera daisy offers a sunflower shape on a large flower head, like the cheery sunflower. Also like the sunflower, it tends to give one a feeling of happiness and joy immediately upon viewing. The Gerbera daisy comes in pretty colors like pink, yellow, white, orange, and even red. These bold, but gentle, flowers look amazing in cutting gardens and in bridal bouquets. Also known as the common daisy, the Oxeye daisy is considered a prized bloom by some and a weed by others. We know its worth, though. This daisy is small, like a button, and it features the same open-petal shape as other daisies. It’s a drought-tolerant flower that looks beautiful in gardens and also in vases when brought into the home. In addition to these daisies, we love painted daisies and Shasta daisies. Do you have any particular variety of daisy that you adore most? If so, drop us a note in the comments below and let us know what it is! Do you love daisies? We do. We love them a lot, in fact, and we thought you might too. In fact, we kind of assumed that everyone loves the daisy and the uplifting energy that the flower provides.When we look at daisies, we can’t help but notice that a huge smile comes across our face. Daisies, in all their forms, bring such happiness and lightness to a day for us. Which are our favorite daisies? It’s hard to narrow a list down to just one. But, we love Gerbera varieties and we go crazy for small common daisies. Both look beautiful in a vase, and they make stunning additions to a garden or a bouquet.